In the 1980s and 90s, Hyundai built a reputation around vehicles that offered basic transportation at minimal expense. 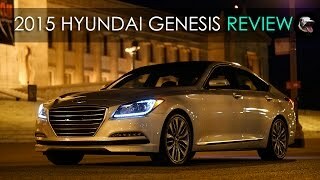 Over the past few years, the automaker has put forth a concerted effort to move the brand upmarket, and nowhere is this shift more evident than in the Hyundai Genisis sedan – a car which aims to go toe to toe with the Germans and, despite a much smaller price tag, is very successful at doing so. 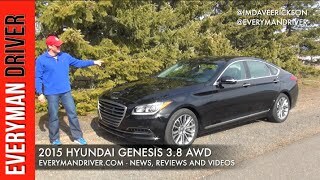 Powering the Genesis is a 5.0-liter DOHC V8 which generates 420 horsepower and 376 pound-feet of torque and is hooked to an 8-speed automatic transmission that sends all the power to the rear wheels. 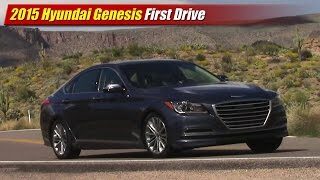 Standard equipment on the Genesis 5.0 includes a performance-tuned suspension, 19-inch alloy wheels, an 8-inch center stack display with navigation and rear view camera, panoramic sunroof, automatic emergency braking, lane departure warning and blind spot detection. Even with optional extras like Ultimate Package found on our tester, which includes a heads-up display, premium navigation with a 9.2-inch center display, a 17-speaker Lexicon audio system, and adaptive suspension, the grand total as tested comes out to $55,700 including destination. 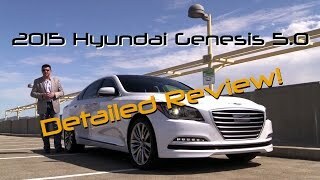 So is the Genesis just an exceptional value or do you really get what you pay for in the luxury sedan segment? Let’s find out. Sure lets in road imperfections. Every little interstate bump.Better tires? 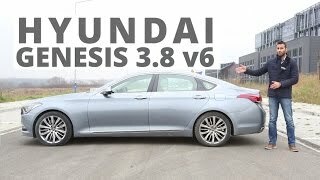 the interior looks like the BMW 2005/2006 3series , the genesis looks boring after some time not very impressive, i test drove it i would give it a 4.1/10 , the AWD is even worst nothing special, the genesis cars lag no technology in the car and the shifter is real stupid designed, other the car is overpriced you just paying for the 10y warranty!!! Such a beautiful car! Shame its only for the US market and not for Europe. Because its very astonishing and luxurious + a very nice sound as well! 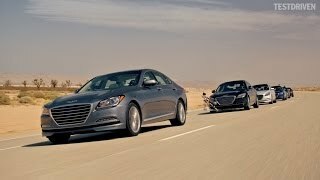 0:18 Can we take a moment to appreciate that chime because that was the most dulcet chime I have ever heard from a car company besides BMW. I would choose this over BMW or Mercedes without any doubt! 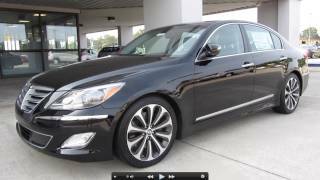 A used Genesiss is or a used GS350....Which is a better buy? Used Genesis, I've owned both. Just picked up a used base 3.8 for 25k! Love this car. 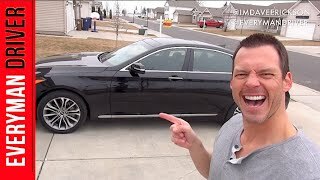 It's not as refined as the Lexus but it makes up for this shortcoming in comfort and amenities. Ugh NOONE HAS THIS REQUEST IM ABOUT TO MAKE: Can you please do a night time drive in this car?! 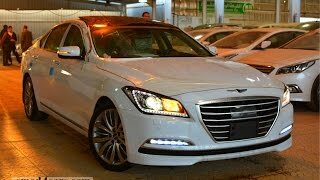 Im talking the walking up to the car, and the genesis logo welcome lights... PLEASE!!! Is this pov on chest or head? 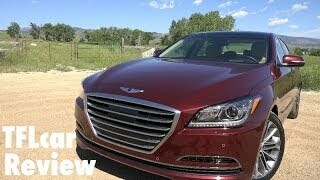 This Genesis is Gorgeous and Quiet beats the Germans by miles. Reliability is a 10. 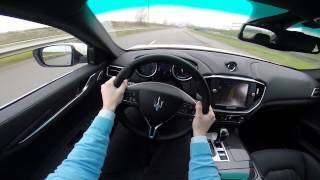 Sheesh, this V8 sounds sweet, I actually prefer it's sound to BMW's recent V8s. 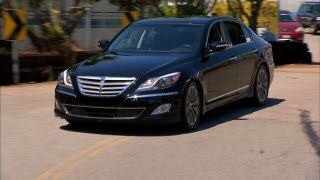 I just love the idea of a luxurious Korean car. 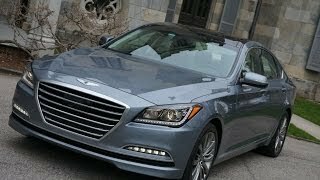 Styling got even better with the 2015 Genesis G90. Sounds like there is a window slightly open in the back seat? Either that, or this car has more wind noise than the Cobalt SS you test drove, which I highly doubt. Damn, that ruined the video for me. I can't watch videos of cars driving around with their windows cracked open. It gives my eardrums a pounding through my headphones. Your videos have a lot of bass as it is. Well anyway, at least the windows are shut in most of your other videos. Could be the pano sunroof as well. +IrishChris1979 Good observation. I bet you are right about a rear window slightly open. Wind noise just isn't in character with this lineup. 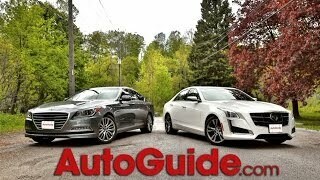 Test drove the v6 and if the steering is the same for the v8 then it is completely soulless. Can't speak on much else, the cabin is comfortable. As long as long term durability is good then I could live with it. How do you truly like it ? +Stuntihn MX 5.0 0-60 is 4.75 and no, 5.0 has A lot more horses, 100hp more. +Stuntihn MX Sry. I'm too am jdm fan even though I'm Korean. I LOVE R34 and 95' 96' Supra. 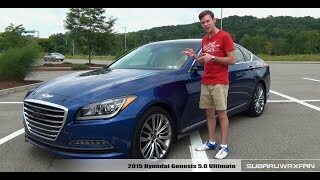 BUT 15' Genesis 5.0 is almost perfect. 0-60 4.75sec and it has all the rooms. The interior is only leather, wood, steel, and good quality hard plastic. My genesis is fully loaded so it has touch screen HD Navi/Map. THIS THING DOES BURN OUT LIKE A BOSS.